GMO Labeling Isn’t Required in the US. Does That Bother You? It bothers me. We have the right to know what’s going into our food-don’t we? Yet In the US the FDA doesn’t require the labeling of GMOs in food ingredient lists. If we take a look at our friends in the EU and other countries -GMO labeling has been the norm for years. GMO labeling was introduced in the European Union to give consumers the freedom to choose between GMOs and conventional products. That makes sense. But in the United States we don’t have that freedom. We are in the dark-having to surmise whether or not our food contains GMOs. A recent MSNBC Health poll asked the question, “Do you believe genetically modified foods should be labeled?” Nearly 90 percent of respondents, representing more than 9,000 votes, answered “Yes”. 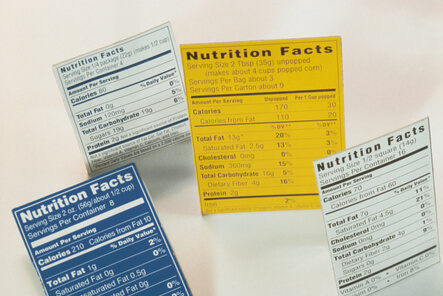 There is no question that the public desires and expects transparency in food labeling. We want the freedom to choose between a food containing GMO’s and one that doesn’t. The FDA is maintaining their position, dating back to a 1992 statement from the Food and Drug Administration, that there is no reason to believe GMOs “differ from other foods in any meaningful or uniform way.” No mainstream regulatory organization in the U.S. has opposed the introduction of GMOs. If the FDA is so positive that GMOs are safe then it would make even more sense for them to support labeling of GMO products. They could proudly display their position on food packaging with a label that reads “Certified to Contain Healthy GMOs” (sarcasm intended). Even the well known health food store, Whole Foods, claims that they can’t ensure that all the foods they carry are not genetically modified. Though Whole Foods stands by its own brand as GMO free, so many processed foods that come into their stores contain GMOs. Whole Foods if having a difficult time keeping their shelves stocked with foods they can promise to be GMO-free. The failure of the American government to mandate GMO labeling not only bothers me it makes me mad. It feels surreal to live in a country that is so secretive about our food products. Does that make you mad? 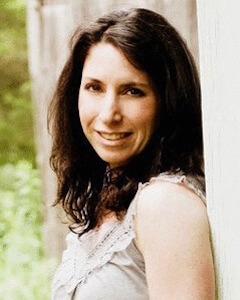 Lori Popkewitz Alper is the founder and editor-in-chief of Groovy Green Livin, a site dedicated to sharing green living tips and information with individuals, families, schools and businesses. A contributing writer for multiple blogs and websites, Lori speaks, writes and advises clients on a variety of issues related to creating a greener lifestyle.